It's made from PP,with hard and shiny surface. It has rope handle with plastic card pieces attached,can be printed and can be made in any other colors. 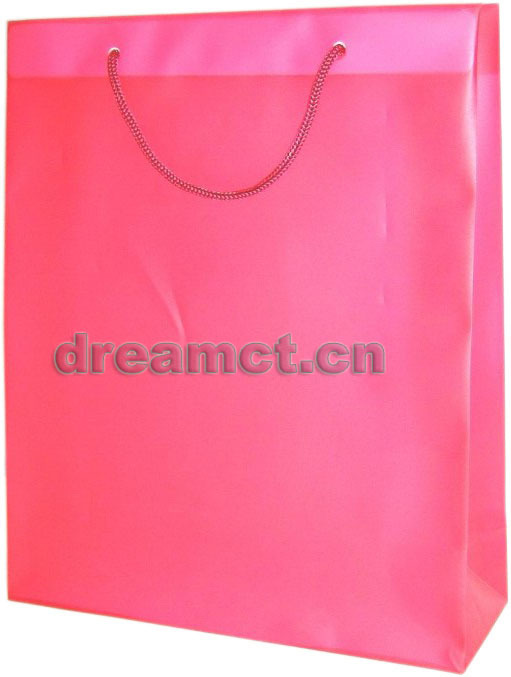 It's widely used to pack gifts,favors,soaps,candles,jewelry,clothes,and more. We can offer 250 tons of such bag monthly,and can produce any possible size.